Moqtada Al Sadr, the formerly fiery Iraqi cleric now reinvented as a nationalist politician whose bloc topped Iraq’s election last month, has many enemies. During its occupation of Iraq, the United States famously issued an arrest warrant against him, thought it never attempted to enforce it. He also has enemies east of Iraq: despite being supported by Iran and going into exile there for some time, Tehran made its feelings towards Al Sadr explicit in the run-up to the election, with an adviser to Ayatollah Khamenei saying the country would prevent his alliance from governing. But as with the US a decade ago, Iran may have to accommodate itself to Moqtada Al Sadr, whose strong nationalist sentiments appealed to an Iraqi electorate sick of foreign meddling in its affairs. Al Sadr’s bloc, called Sairoon, topped the polls, but the cleric himself won’t be prime minister, as he did not stand for election. 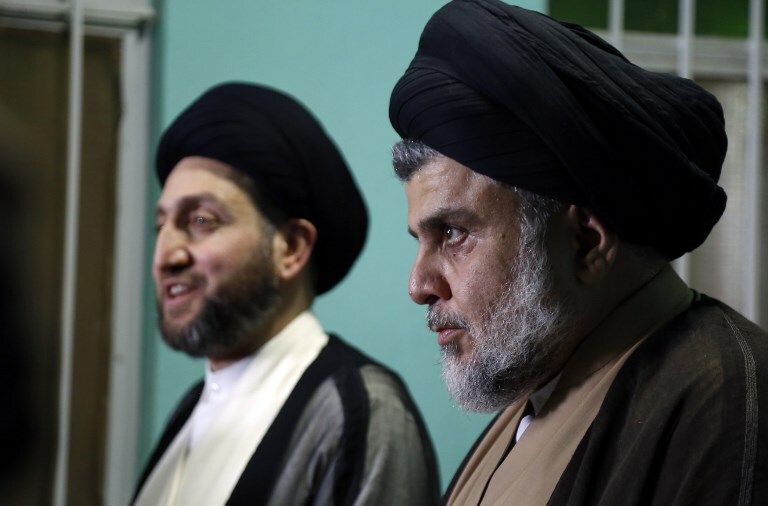 Instead, Sairoon will need to enter into a coalition with some of the other parties, and Iran, Saudi Arabia and the United States will be watching closely for signs that Al Sadr is willing to work broadly within the Iraqi system. So far, the signals are good. Al Sadr met with both the incumbent prime minister, Haider Al Abadi, whose own party came third in the elections, and Hadi Al Amiri, whose pro-Iran bloc came second, after the election to discuss a coalition. If he is to be kingmaker, Al Sadr has been careful to cultivate the image of one who will put the interests of Iraq first. But as with so much about modern Iraq, the political sphere is only one part of the story. Certainly, Iran faces challenges to its influence inside the country from politicians such as Al Sadr. But beneath the surface is a wider challenge, based on religious teachings, situated at the contested – and highly combustible – nexus of religious scholarship and political leadership. To understand the challenge, it is necessary to understand two vital cities for Shia Islam, Najaf in southern Iraq and Qom in northern Iran. Both have been centers of Shia scholarship for centuries. Both have retained a measure of autonomy, even in the midst of heavy government interference. And both will have serious influence on what kind of Iraq emerges in the coming years. The most prominent leader of Iraq’s majority Shia community is Grand Ayatollah Ali Al Sistani, an aging cleric based in Najaf who was himself born in Iran. Al Sistani has rarely made interventions in politics, only issuing statements a handful of times since the US invasion of 2003, mainly to advise Iraqi Shia to get involved in politics and, once, calling for Shia men to take up arms against ISIS. Al Sistani comes from a long Najafi tradition of religious leadership outside of politics. The Najaf school does not accept that religious figures ought to be political leaders. This is the fundamental contrast with Qom, which has accepted the concept of wilayat al faqih, or rule of the jurist, that has been Iran’s guiding ideology since the 1979 revolution. The concept of the appropriate limit between religious affairs and the state, usually expressed in the west as the division between church and state, is one of the fundamental philosophical problems of nation states, whether in the West, in the Islamic world or anywhere else. Within Shia Islam, the Najaf school has historically separated the two, leaving political rule to the rulers. The Qom school combines the two, placing a cleric at the apex of the political structure. What seems like an esoteric philosophical debate actually has profound ramifications for how Iraq’s society functions, and in particular how the Shia faith expresses that faith in politics. If Iraqi Shia were more influenced by the Najaf school, they would be inclined to see politics as outside the realm of faith, leading to a more nationalist interpretation of Iraq’s interests. Iraqi Shia would then be more likely to see themselves as Iraqis first, leading to closer ties with Iraqi Sunnis and even, perhaps, through the Arab identity, Sunni Arab countries. If, on the other hand, they were to be influenced by the Qom school, that would pave the way for more clerical influence on politics, with the knock-on effect that Iran, as a follower of the Qom school next door, would have more leverage. Iraqi Shia would then see their religious faith as a more important identity and privilege relationships based on that, leading to closer ties with Iran. It is obvious then that, far from merely a philosophical debate, the outcome of the Qom versus Najaf debate has profound political effects, all of which are extremely clear to Tehran. That is because Moqtada Al Sadr is firmly in the Najafi camp, a believer in the idea that political leadership does not automatically fall to religious figures. As Al Sadr’s influence on politics increases, so will the influence of the Najaf school, which will have more serious long-term consequences for Iran. The Iranian government, after all, has long positioned itself as the main defender of Shia Muslims, and even of Muslims generally. Remove belief in wilayat al faqih, in the idea that a cleric must be the political head of the state, and support for the “Iranian model” diminishes. That is a greater threat to Iranian influence in its next door neighbor than one election. For now, Iran will probably have to work with Moqtada Al Sadr. But Tehran is less concerned with the extent of his support and more concerned at the limits he sees to political power.